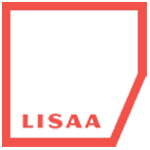 Students who anticipate an absence from Lisaa must inform the administrative offices, which reserve the right to refuse the request if the motive seems unwarranted. In case of frequent lateness or absences, the student will be summoned by the Department Director. Following the meeting, the student’s stance will determine the measures taken by the school’s director. In case of several warnings, this could lead to expulsion. As part of their training, students are obliged to hand in a certain number of projects. The frequency of the projects is determined by each professor and projects may take place either within or outside actual classes. To meet course program requirements the student should anticipate that an appreciable amount of work must be done outside the classroom. Work will be commented on and graded, and these grades allow the staff to follow a student’s evolution and observe his/her work and effort. Any work turned in late will be graded as 0 (which will influence the student’s grade average). Report cards will be sent out twice a year. In addition to training, several juries are organized during the school year to prepare each student for his portfolio presentation. These juries will also provide evaluations. At LISAA School of Design, we firmly believe that trips/excursions are an integral part of any well-rounded educational program. These excursions are carefully organized, and their main goal is to combine learning and fun, while giving our students the chance to come in close contact with culture, history and traditions to explore new facets of Art &Design. Students will be taken for two excursions in one academic year. It is mandatory for students to participate and bear the cost of such excursions. Work done there will be evaluated internally and by jury. An overall view of grades obtained throughout the year will determine a student’s promotion to the following year. Students are required to maintain a correct attitude in the classroom and in the school in general. Any offence to this protocol may result in a warning to the student. Any decision by the administration, for indiscipline or poor work, is non- negotiable and may result in expulsion. For reasons of security and hygiene, smoking or use of any illegal substances is strictly forbidden in LISAA premises. School will not be responsible for any ailment/ injuries/ accidents or any other mishappenings of any nature inside and outside the campus. India is well connected by air, trains and road transport. Advance booking is possible for all of them, hence try to make a tentative plan for your stay/travel in India. Have photocopies of all the important documents like passport, visas, travel insurance and driving license etc. Keep important emergency numbers with you. Print a copy of emergency numbers in Delhi. Don’t forget cash. Credit cards /Debit cards/ traveller’s cheque is the safe mode of payment, however, in many situations cash would be required. Try to keep some local currency in hand. There are many five stars, deluxe and heritage hotels all over India waiting to serve tourists.These hotels are in line with international standards of hospitality. There are a number of budget hotels and guesthouses for budget travellers. Beware of touts. Be assertive and confident and don’t give them the impression that you are unfamiliar with India. shopping or talking to the local people. Indians are fairly friendly and helpful people. One can find all basic food/amenities conforming to international quality and standards. Always carry your college contact details and your counsellor number. DON’T carry your passport and important travel documents at all times. DON’T buy air/rail or travel tickets from unauthorized persons.